It takes the right tools to quickly identify potential points of failure in an electrical or manufacturing environment, especially since many of these components are impossible to reach. That's why the new FLIR Exx-Series of thermal imaging cameras offers superior resolution, precise laser-assisted autofocusing, and the option of interchangeable lenses – so you can target any component, survey from top to bottom, and avoid costly shutdowns. Inadequate insulation, moisture intrusion, and building envelope deficiencies are critical faults that can be hard to find. 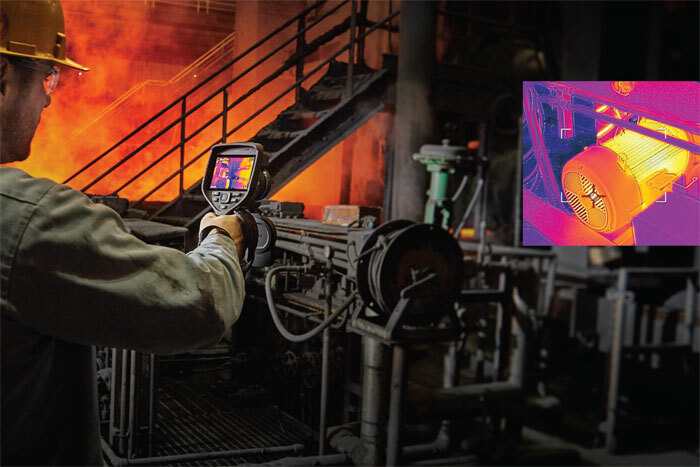 So the new FLIR Exx-Series of thermal imaging cameras offers the superior sensitivity and performance you need to detect subtle temperature differences, and the wide field of view to target broad areas – so you can locate problems and fix them, fast. The FLIR E75 has the sensitivity and resolution needed to diagnose problems and find hidden deficiencies – even from a distance. The FLIR E85 is packed with high performance features, offers wide temperature ranges, and measures area (m2 or ft2) on-screen. The FLIR E95 offers the great features of the E75 and E85, plus up to 161,472 points of temperature measurement. To request more information from FLIR Commercial Systems, please complete the form below.